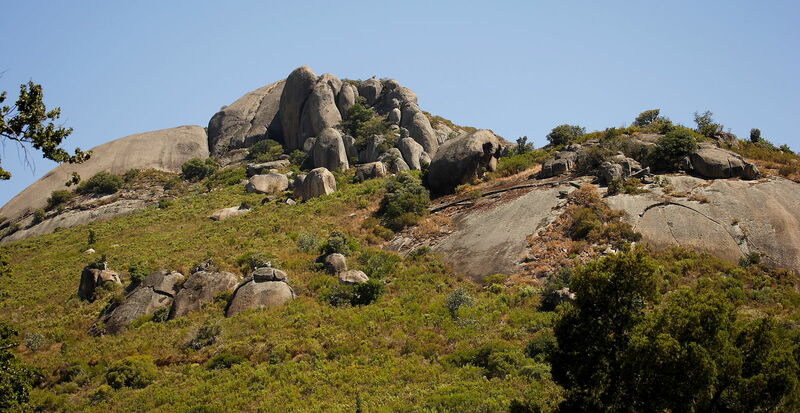 Our South African holiday continues and it was late afternoon by the time we left the Paarl Bird Sanctuary and on the way back to Cape Town we popped into Paarl Mountain Nature Reserve, conveniently located just a few minutes away off the main R45. On the drive up we passed a wildflower Reserve that had a very drab out of season look so we didn’t stop. Mountain is perhaps a slight over statement but it certainly involved a winding drive up a well made track. Nearing the top we parked and made the slight climb up to the Britannia rock summit on foot. There we experienced fine panoramic views over the surrounding scrubby lowlands and vineyards set against the back drop of The Cape Mountains to the South (I sound worryingly like an estate agent!) The actual rocky summit didn’t produce much in the way of bird life but the views were worth the short trek. On the lower slopes bird life was more prolific. 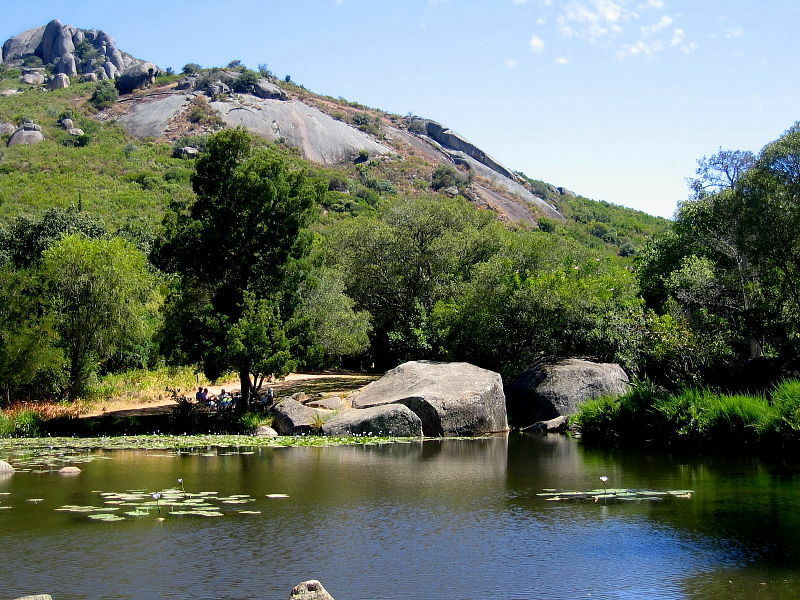 We came across an idyllic, almost oasis like small patch of lush vegetation surrounding a crystal clear pond nestled into a fold in the rocky slopes. 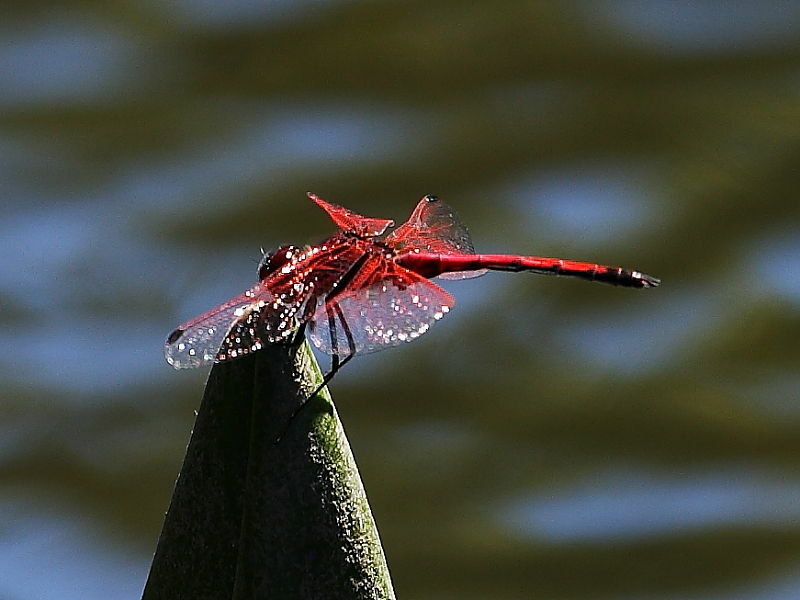 A bright red Dragonfly perched on an emergent flower head. 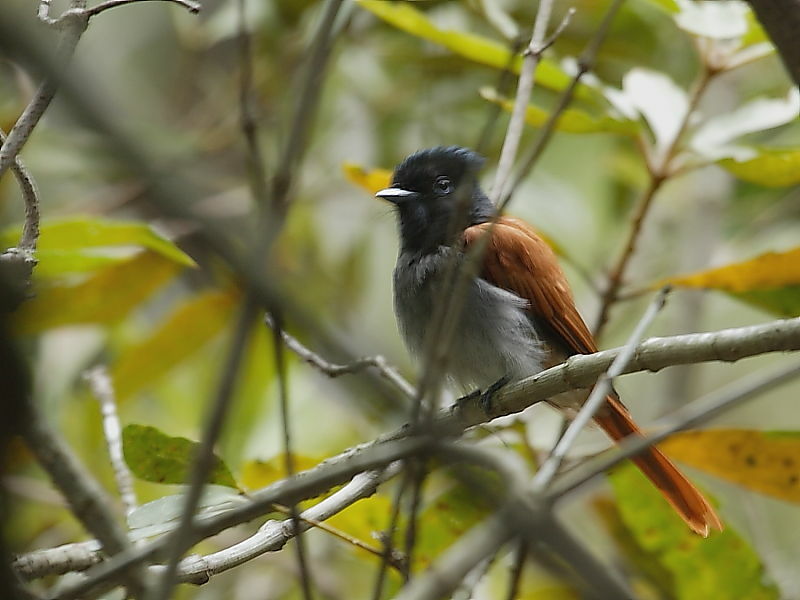 Frustratingly only fleeting glimpses were had of our first Paradise Flycatcher with views often obscured by branches. 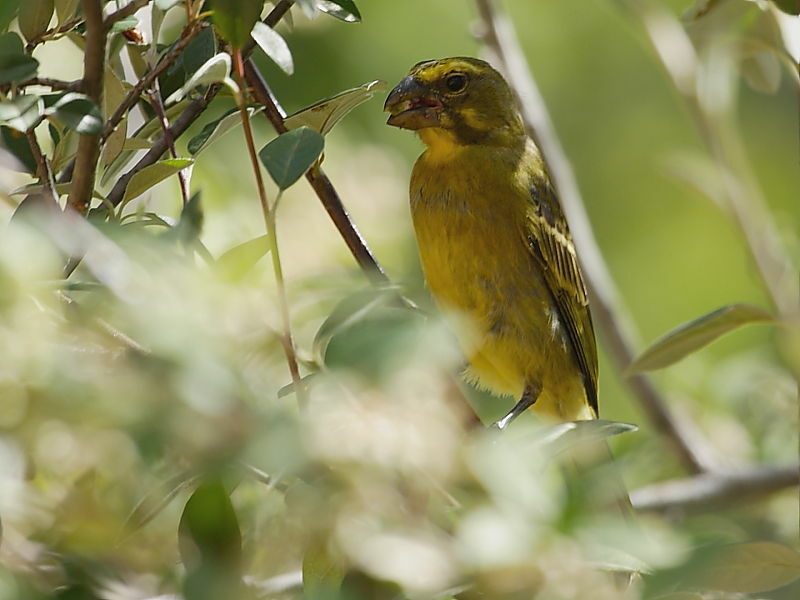 Several Bully Canaries were active in the leafy tree canopies. 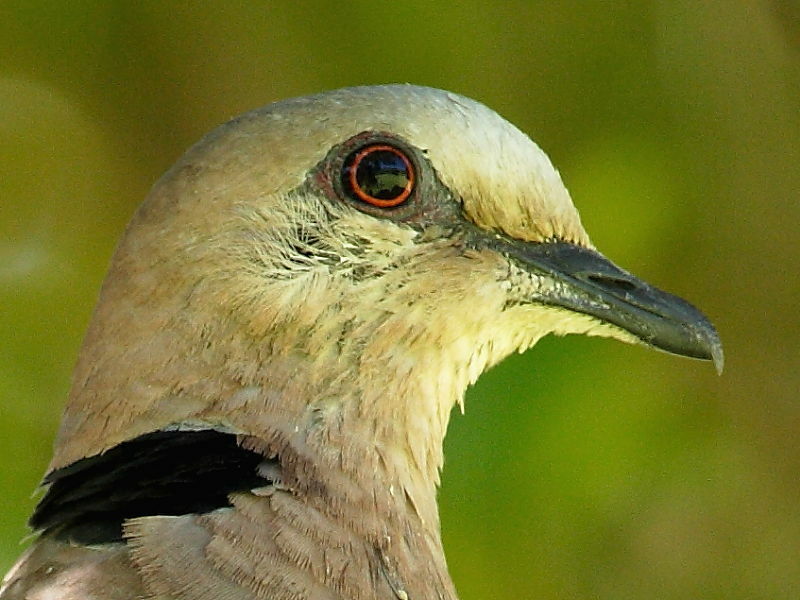 A Red-eyed Dove stared down at us from an overhanging branch. 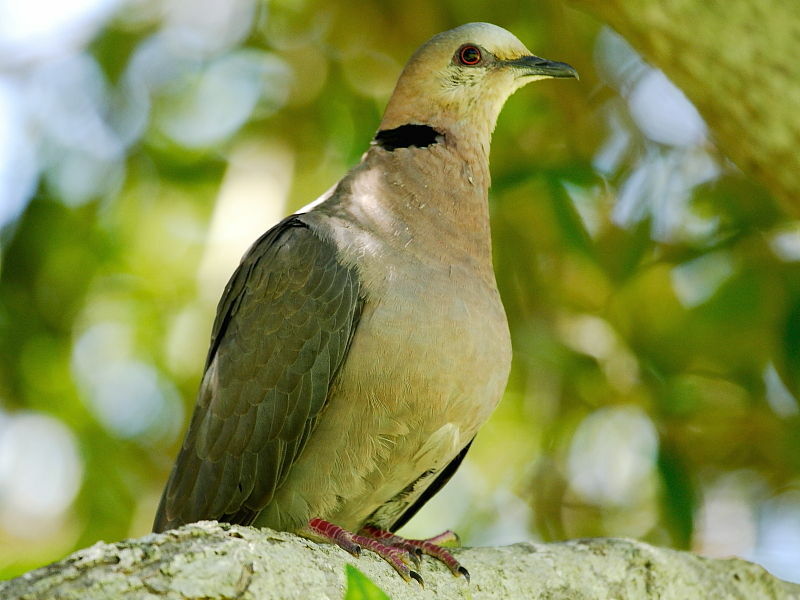 It wasn’t actually until later, on seeing the images on screen, that I was fully able to appreciate the red eye – a helpful identifying feature when comparing with the African Mourning Dove and Cape Turtle Dove. 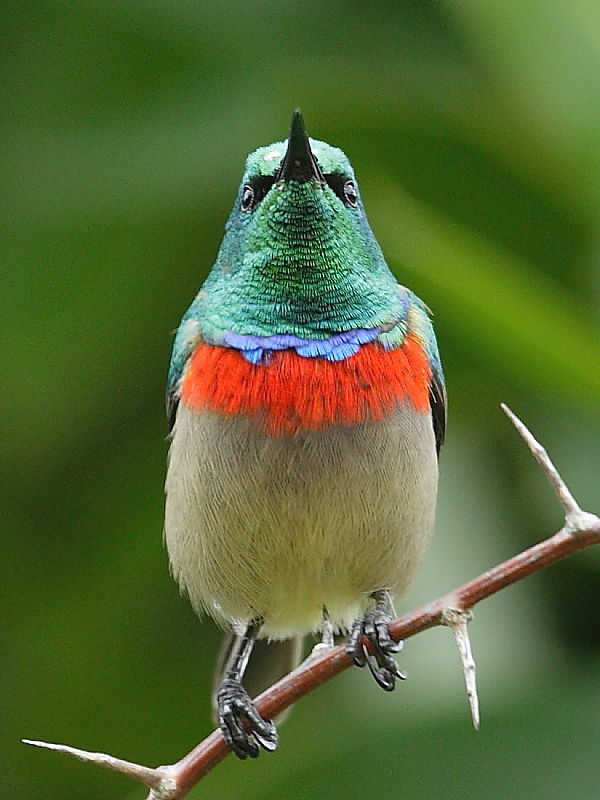 A Malachite Sunbird sat in the shade of a leafy tree canopy. Out on the more open scrubby slopes several Fiscal Fly Catchers sat out prominently on the leafless branches of decaying trees. 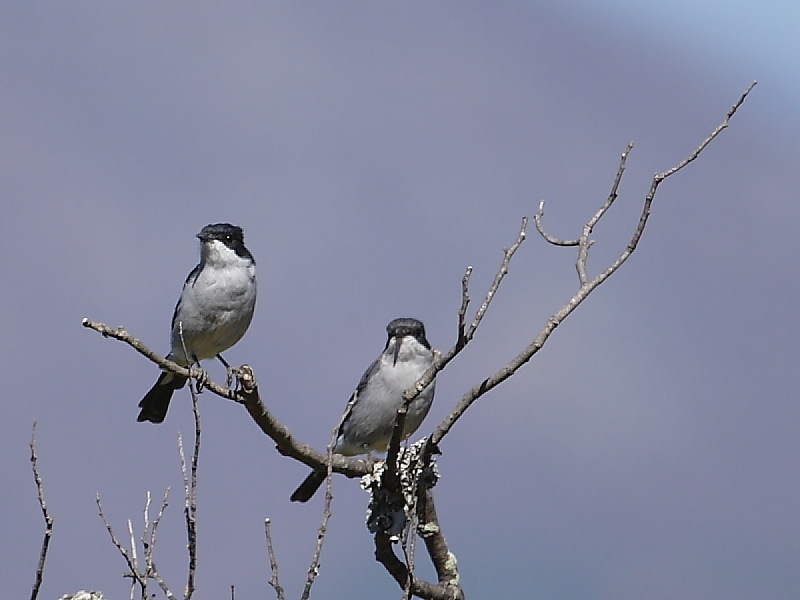 During our trip these endemic flycatchers were the most common flycatchers seen. 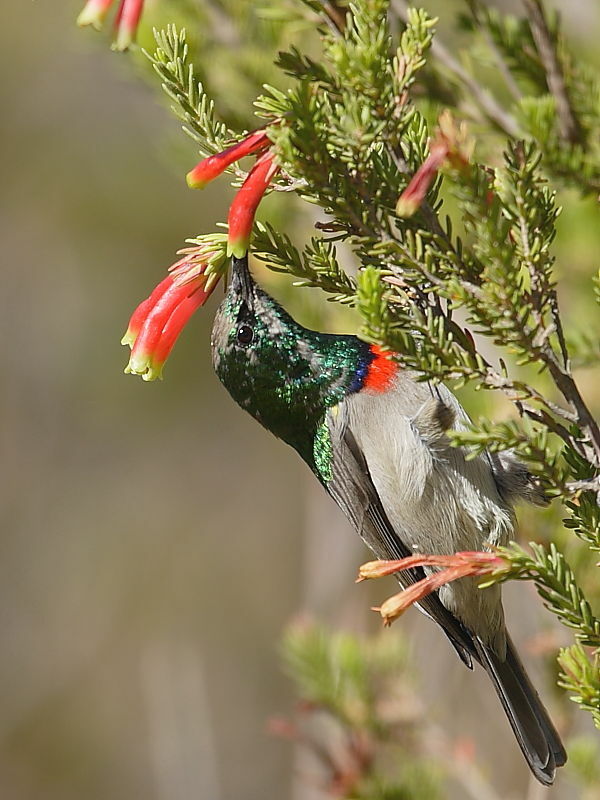 Lesser Double-collared Sunbirds flitted between trumpet shaped flower heads sipping nectar. Our visit was fleeing so is no doubt a poor reflection of what it has to offer. Nevertheless, we still found it worthwhile and certainly added to what had already been a most rewarding birding visit earlier in the day to the nearby Paarl Bird Sanctuary. The views from the summit were a bonus and no doubt the wild flower reserve would look stunning in the Spring. 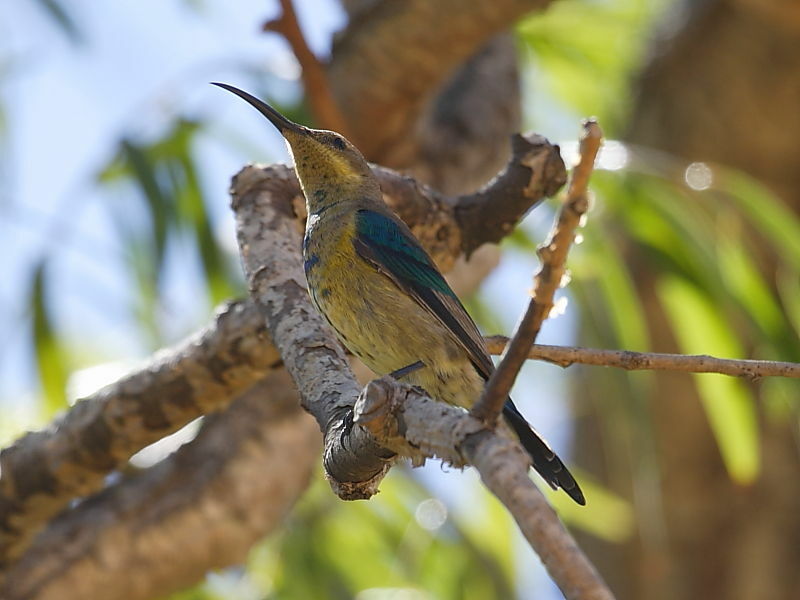 We didn’t see elusive Protea Canary but then that was probably a bit much to expect to be able to just dip in on. Day 5 – The Cape Of Good Hope Nature Reserve – one of South Africa’s and the worlds most iconic landmarks. Little did we know what was awaiting us!